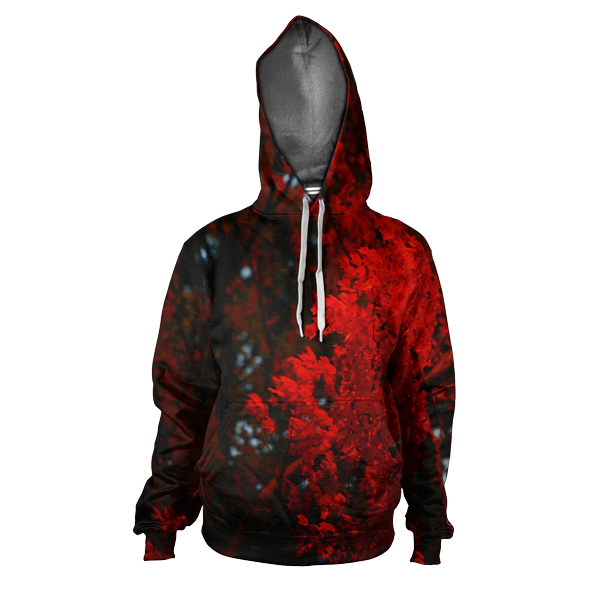 Fall Leaves Print Hoodie. This actual photo of leaves was printed on this 100% polyester hoodie using custom cut and sew and vibrant colorful print. This all over print custom sublimation hoodie features 100% polyester no shrink material. This is trimmed approximately 1.5 inch longer that your average hoodie shape. We designed these for the taller person but is a great piece for winter sports, spring time outdoor activities. The polyester material breathes great and the images are printed with a a vibrant dye print.